This is a wonderful 4-way stretch Italian swimwear fabric from a NY designer, medium-light weight and opaque with about 60% stretch in both directions. 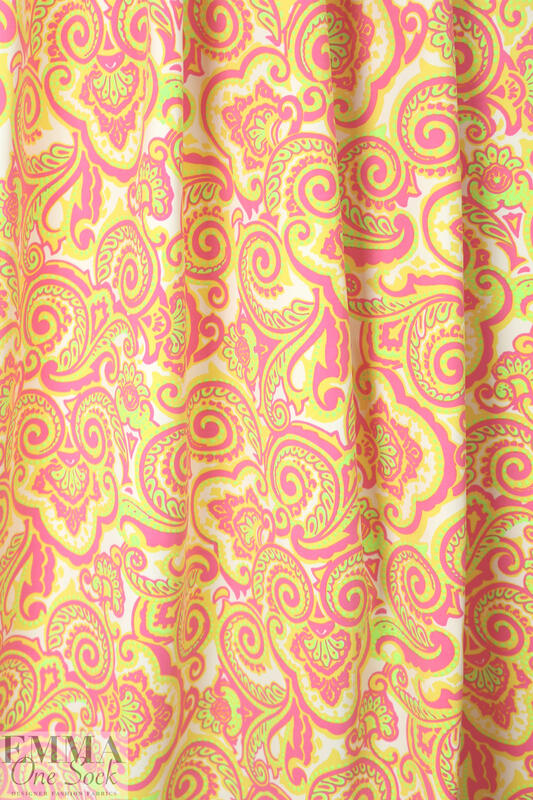 The quality of the fabric is excellent--it's just the right weight-- and the stylized paisley design is fresh and modern. 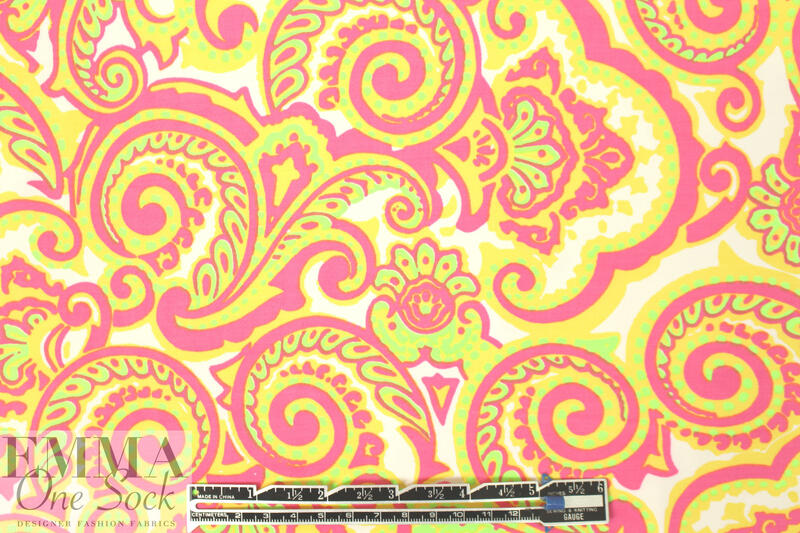 The colors are medium pink, neon lime, yellow and white (PANTONE 13-0340 <--only viewable online, 16-2126, 13-0840). 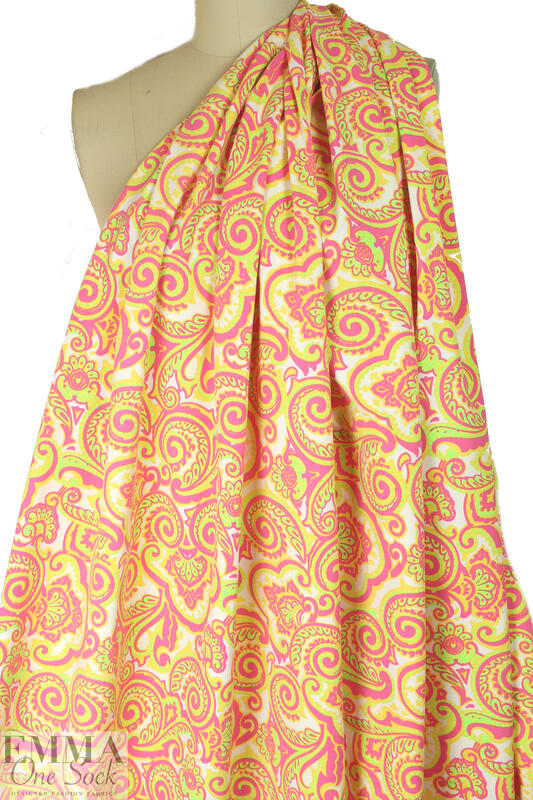 Perfect for swimwear, athletic wear, or sporty tops, tees, tunics, leggings, etc. Test first if you wish to hand or machine wash, and hang to dry.